Termites are estimated to cause roughly $5 billion in property damage each year in the United States. These destructive pests receive nutrients from the cellulose matter in wood. After finding a readily available source of cellulose, they’ll begin to create complex tunnels – also known as termite tubes – to navigate the wood structure. As a homeowner, you should inspect the trees in your landscape for signs of termites. 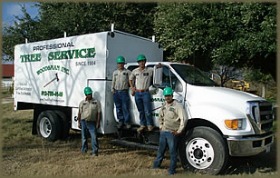 Allowing an infestation to go unnoticed may result in the termite colony moving from the tree to your home, where it’s able to cause extensive property damage. Living, healthy trees are generally safe from termites. Most species of termites only eat wood from dead and decayed trees. Therefore, you should look for signs of decay when inspecting the trees in your landscape. 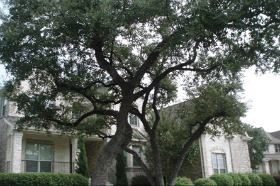 Whether you have oak, ash, cedar, pine or any other types of trees in your landscape, look to see if they are decaying. Missing bark is a telltale sign that a tree is infested with termites. Trees can lose bark for a variety of reasons, including disease and physical injury. But if you see large sections of missing bark, it could indicate a termite infestation. When termites infest a tree, they’ll begin to devour it from the inside. Over time, the tree’s structural integrity will become compromised, resulting in the loss of bark. A hollow trunk may also indicate the presence of termites. As the termites eat away the inside of the tree, the tree’s trunk will become hollow. If you knock a hammer or hard object against the trunk, you’ll hear a distinct hollow sound. Perhaps the most definitive sign of a termite infestation is the presence of tunnels. During an infestation, termites may create tunneling structures both inside and outside the tree. You won’t be able to see interior tunnels, but you can see the exterior tunnels. They generally look like brown or black dirt running up the side of the tree, spiraling out in different directions. Of course, termite wings are a characteristic sign that a tree is infested with termites. Subterranean termites, specifically, have wings that they’ll drop after finding a suitable food source. Most termites drop their wings inside their food source, though you may find them outside of an infested tree as well. 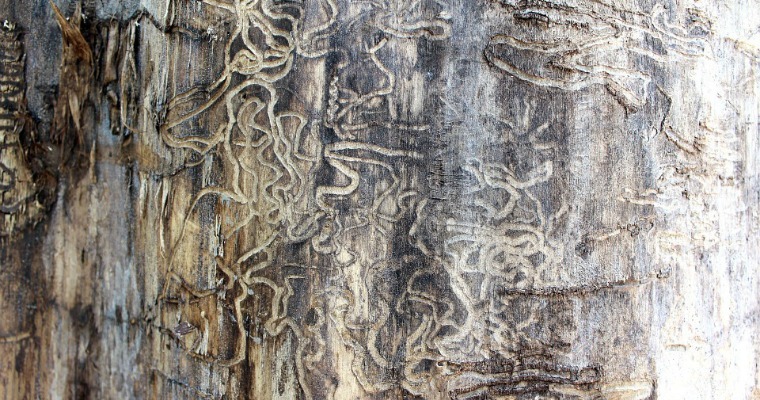 A termite infestation can quickly destroy otherwise healthy trees in your landscape. By removing the problematic tree, though, you can control these destructive pests and protect your property from further damage.